Last week our blog shared details about the gorgeous indoor and outdoor wedding and event facilities at Country Jewell. This week, our focus is on the wonderful wedding packages that we have to offer. You don't have to do it all alone! 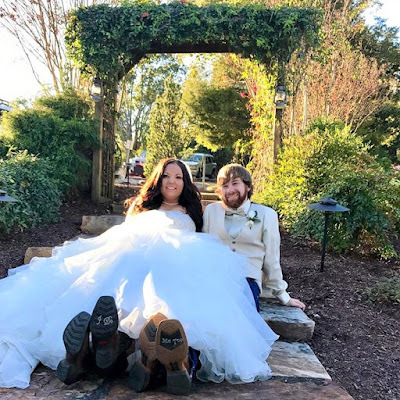 Whether you want just a little help or a lot, our rustic wedding venue near Knoxville has a package that is perfect for your special day. You can find current wedding package pricing on our website, or you can give us a call at 865-494-0552 to inquire about rates. These are our most popular wedding packages, but if you don't see exactly what you're looking for, just ask! We are always happy to work with you to create the wedding of your dreams. For the bride and groom who would like to relax and enjoy their special, romantic day! Romantic Ruby gives you 4 hours total. This package is for 25 people, but additional guests can be added for an extra charge. For the couple who would like a romantic wedding with plenty of time for celebration with family and friends! Dazzling Country Diamond gives you 6 hours total. This package is for 25 people, but additional guest spots can be purchased. DJ for 3 hours. He will announce your entrance into the reception, play music while everyone is dining, and play your special songs for dancing! These meal packages are prepared by Bradford Catered Events. You are welcome to rent our scenic wedding venue near Knoxville and take care of all of the details yourself, or you can pick one of our packages and let us take care of some of the details for you. We have access to many talented wedding vendors in the area that are sure to make your special day absolutely amazing. If none of the packages listed above fits exactly what you have in mind, we are happy to discuss additional options with you. At Country Jewell, our goal is to give you the wedding of your dreams. All you need to do is let us know how we can make that happen!